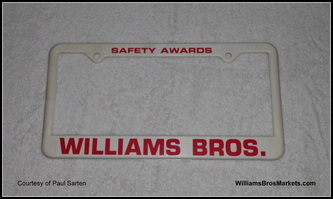 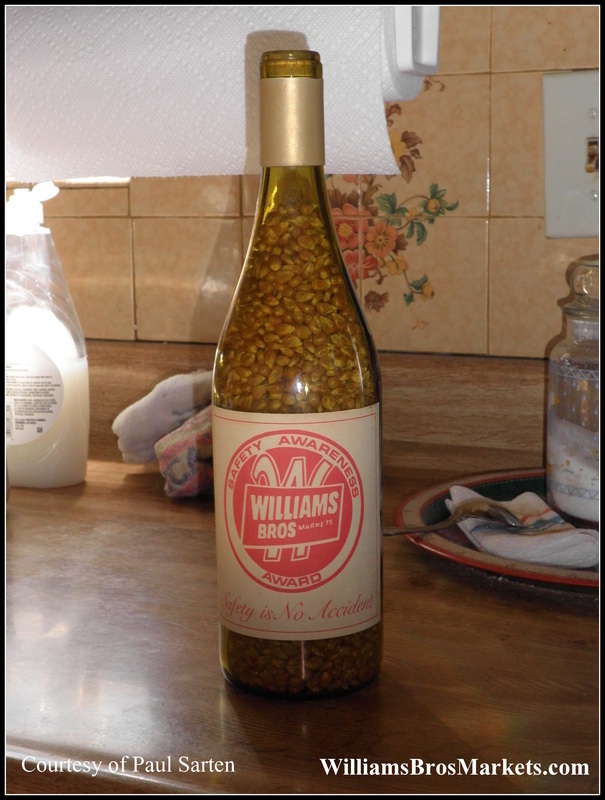 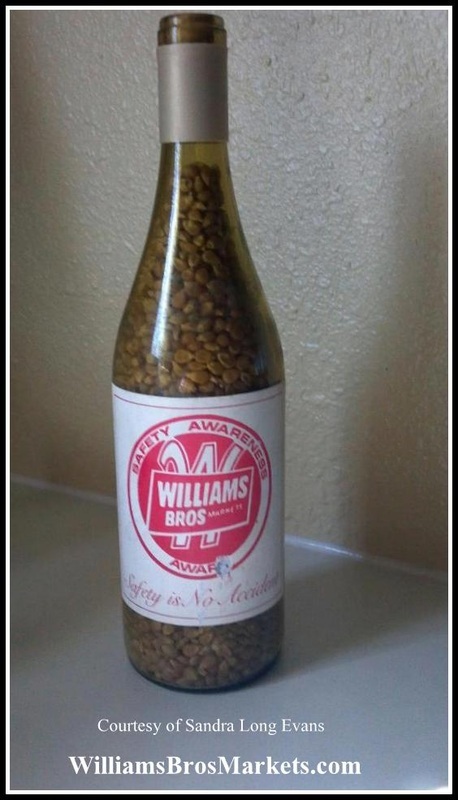 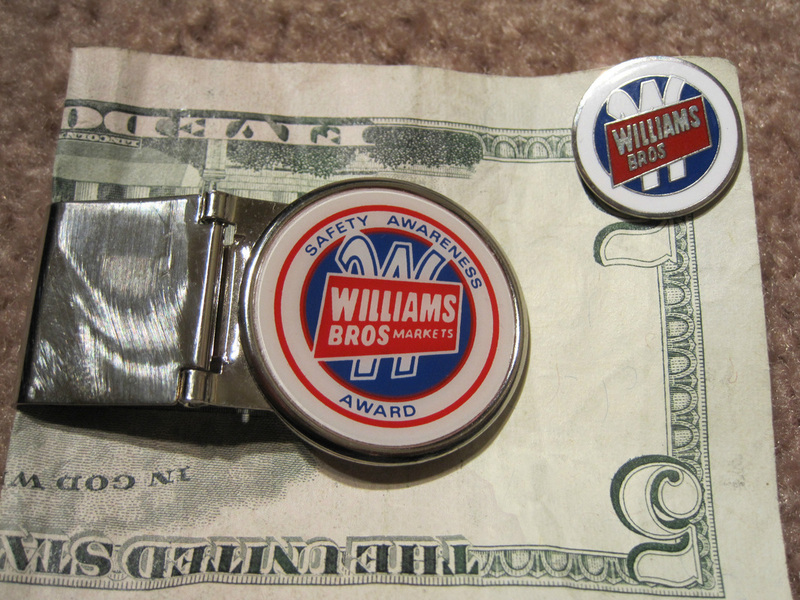 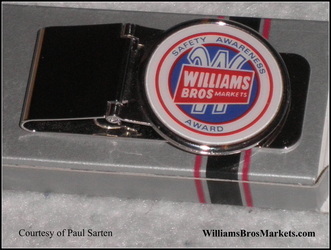 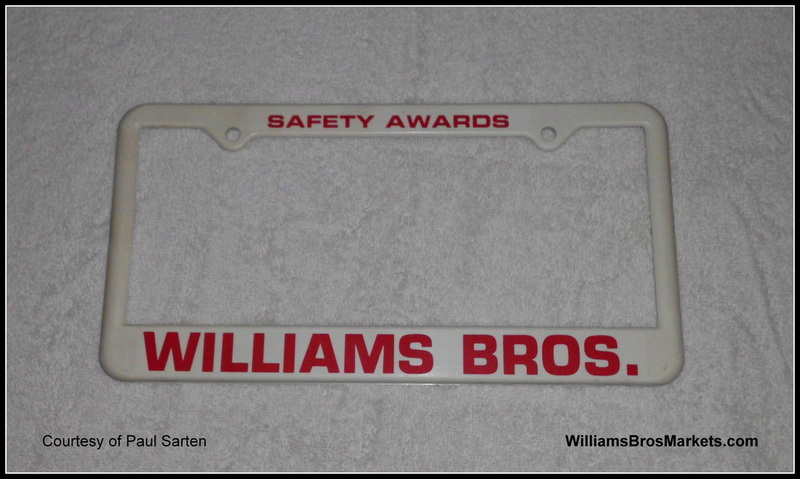 Williams Bros employees remember the Safety Awards they received when they were accident free each company quarter. 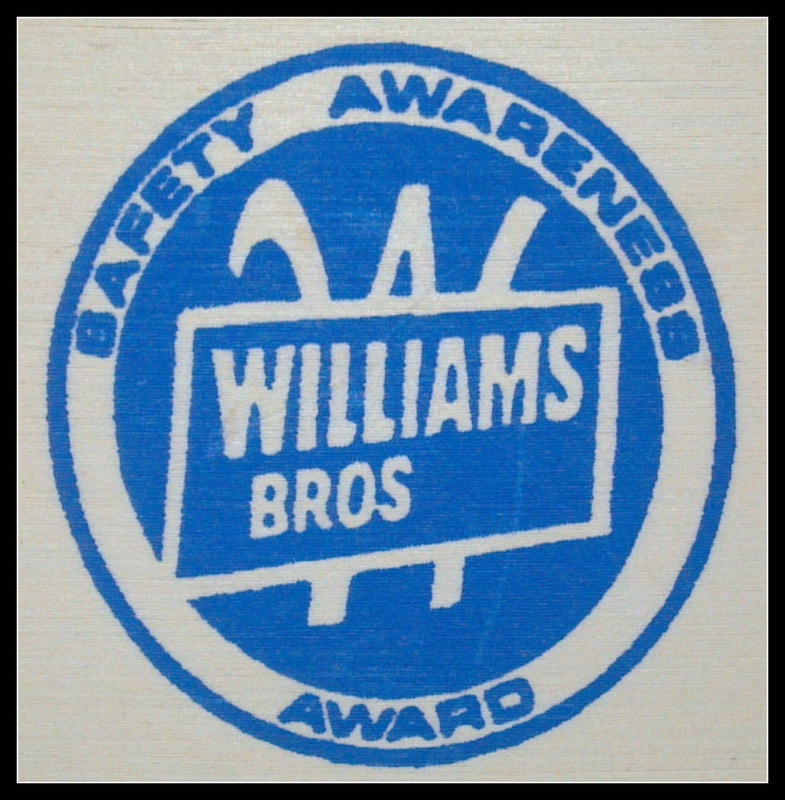 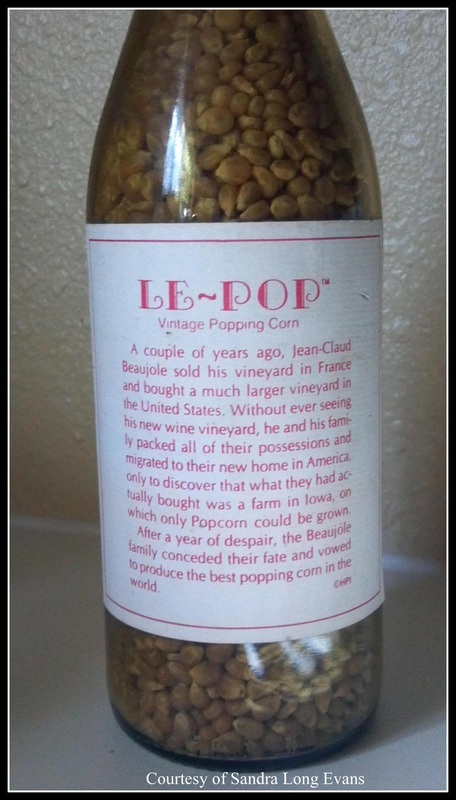 There were many different types and styles of awards that were custom made over the years. If you have a Safety Award snap a picture and email it. 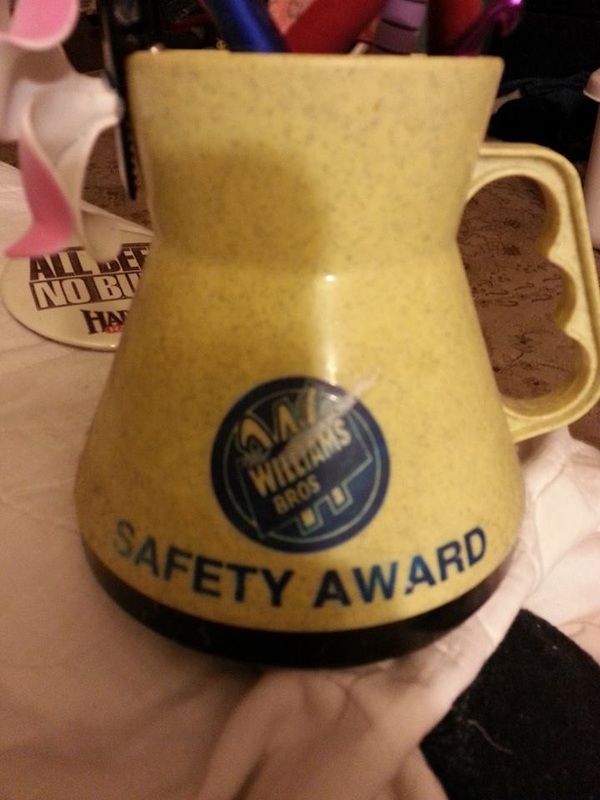 We'll gladly feature it. 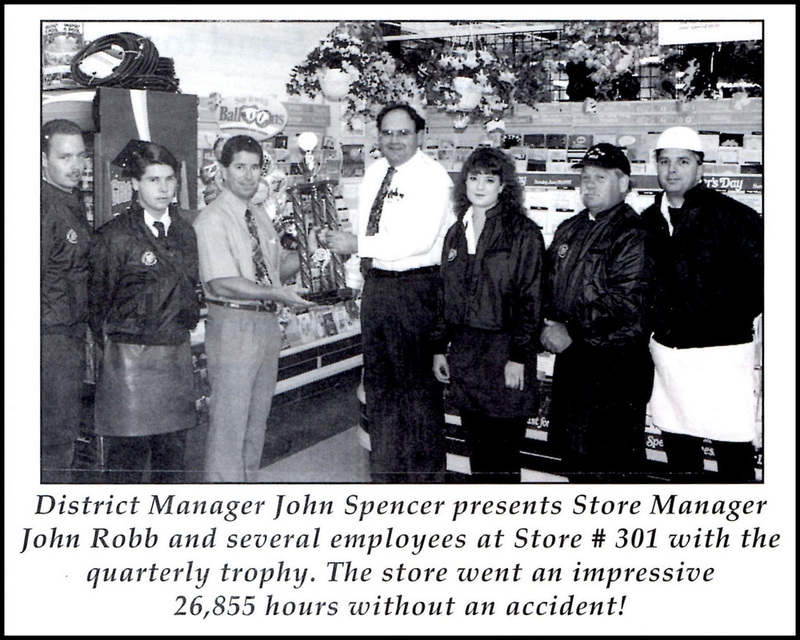 Notice the snazzy Safety Award jackets worn by the employees? 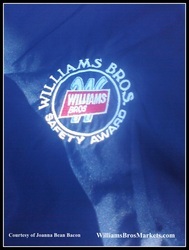 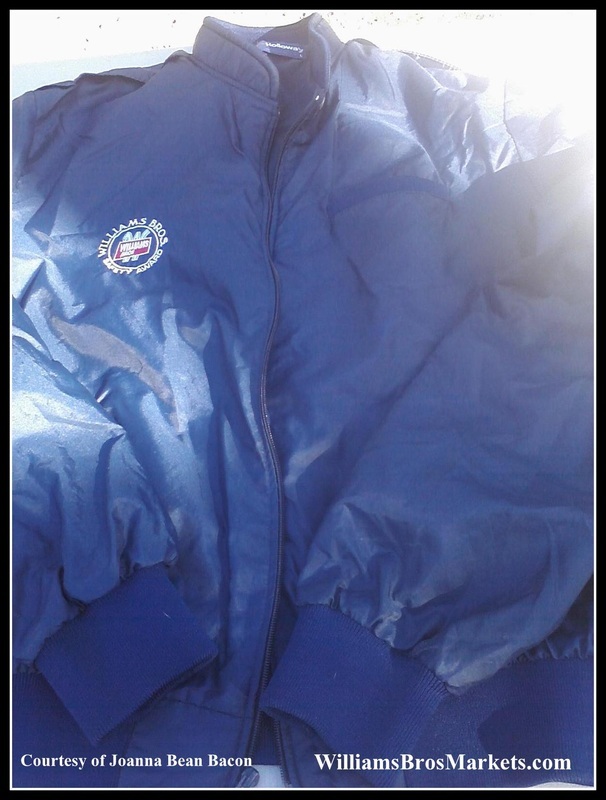 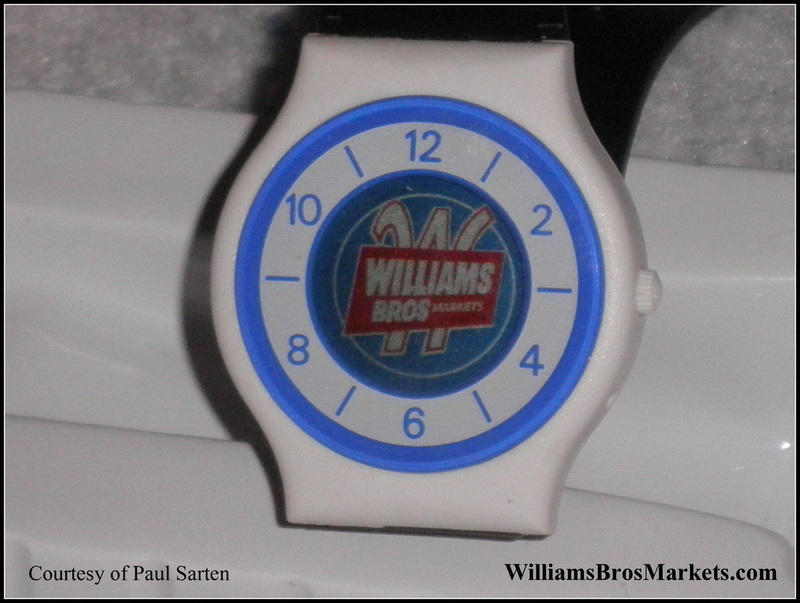 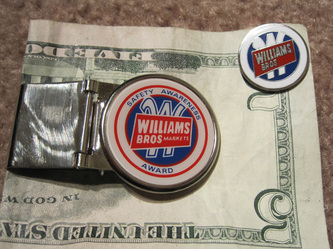 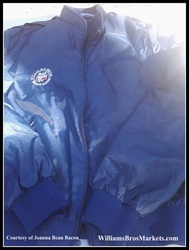 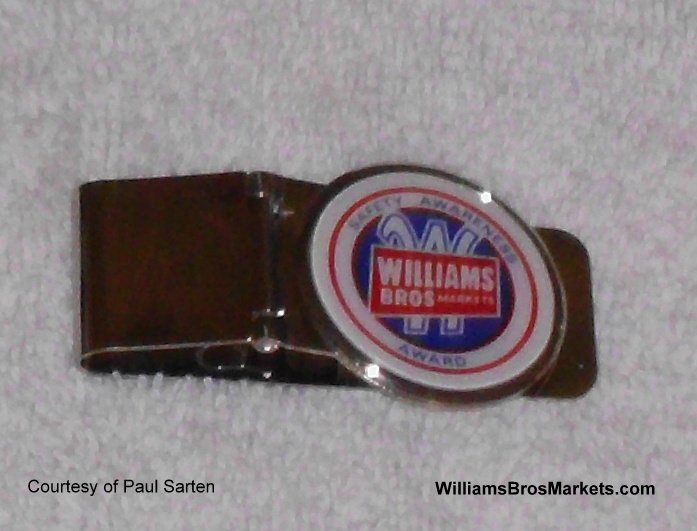 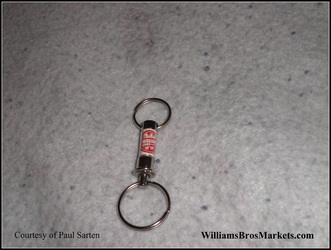 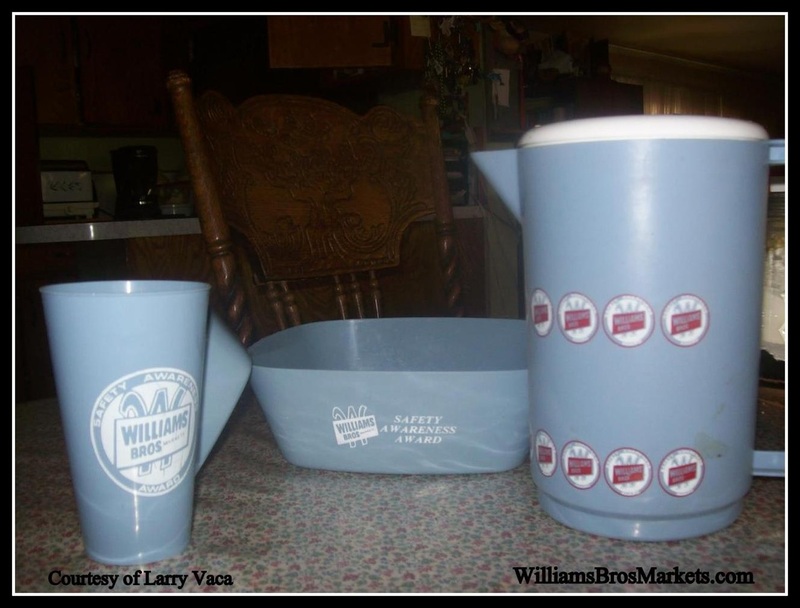 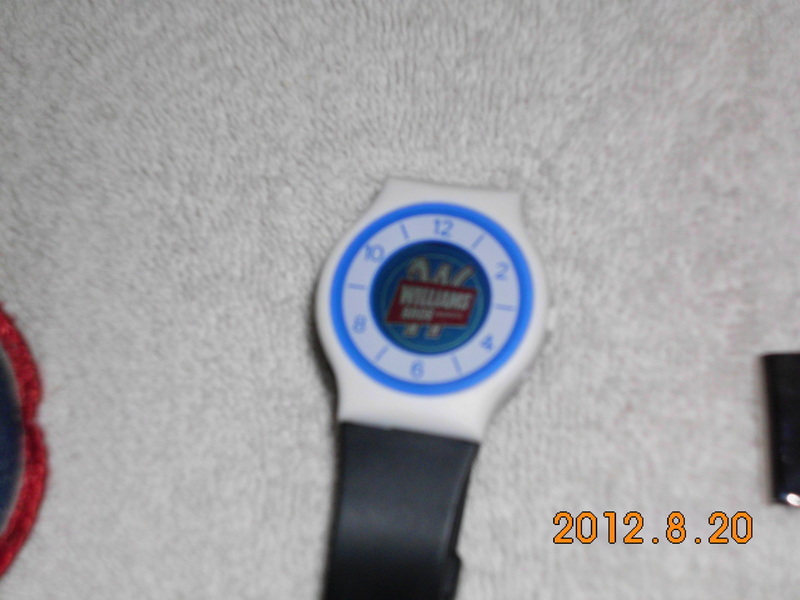 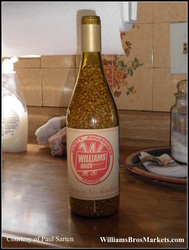 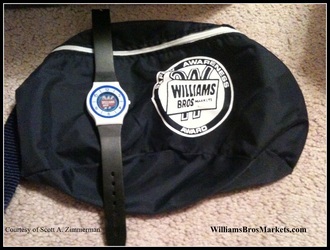 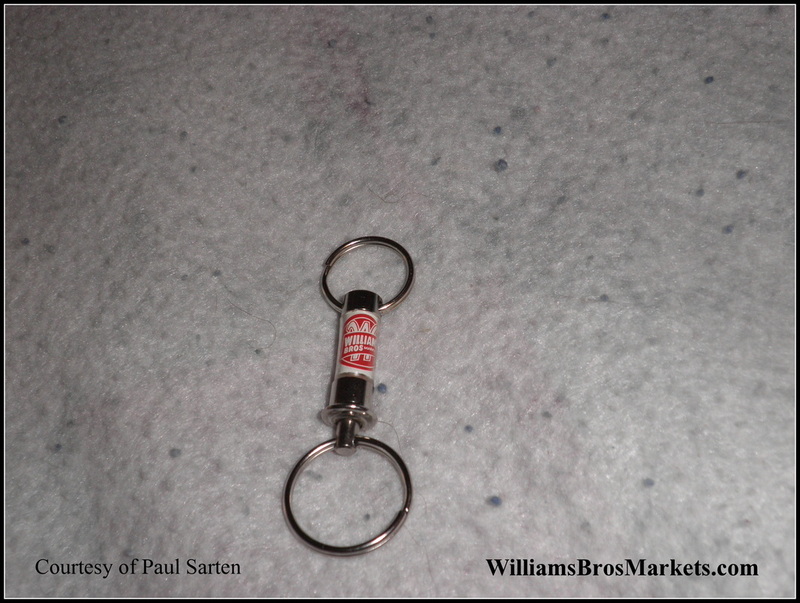 They were dark blue Member's Only style with the Williams Bros emblem as pictured to the right. 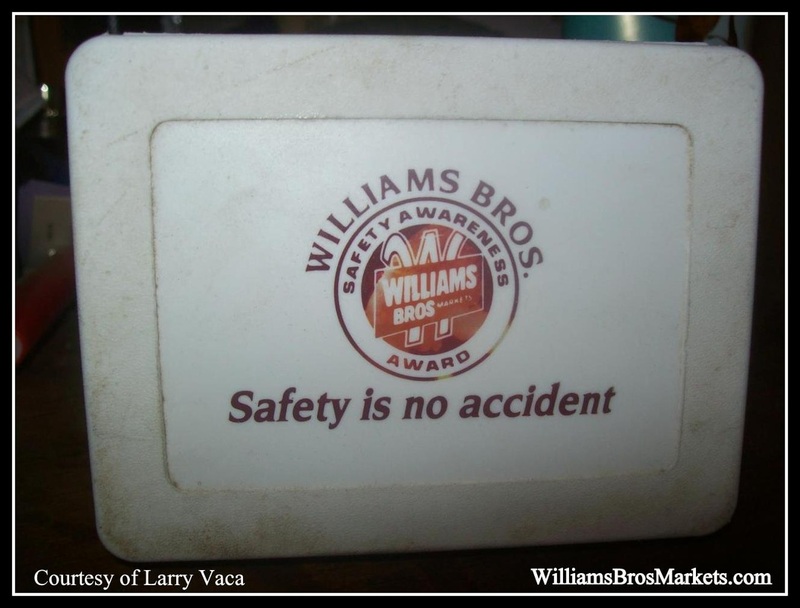 photos here with any information and we'll gladly credit as you wish!